(Trent Nelson | The Salt Lake Tribune) BYU's Nick Emery, Tuesday Sept. 25, 2018. 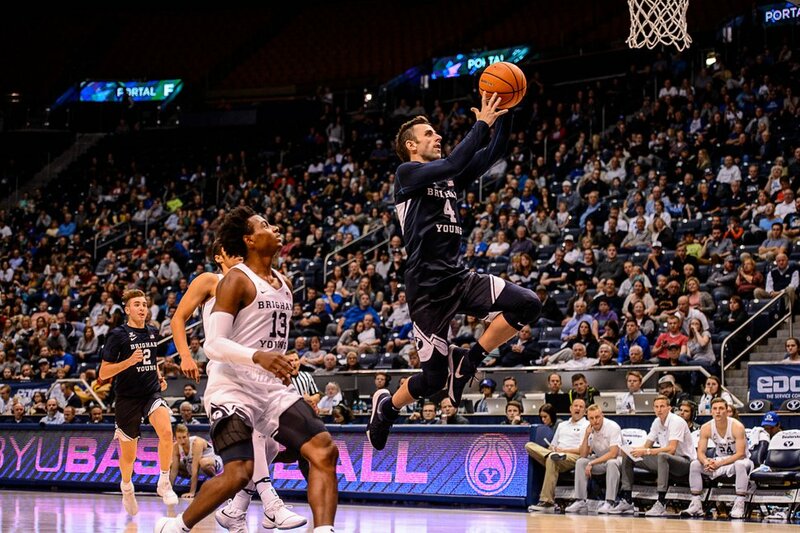 Brigham Young University’s men’s basketball team must vacate two seasons, eliminate a scholarship and will be on probation for two more years over trips and other benefits boosters gave to guard Nick Emery, the NCAA announced Friday. The university, owned by The Church of Jesus Christ of Latter-day Saints, issued a statement saying it was disappointed in the ruling and argued the NCAA did not eliminate wins for schools found with similar violations. BYU will appeal, the release said. Two years of probation from today through Nov. 8, 2020. A vacation of records in which Emery participated while ineligible. Recruits may not make any more than seven official visits during this academic year and 2019-2020. While the NCAA news release didn’t use Emery’s name, BYU’s news release did, and Emery basically acknowledged his transgressions in a tweet on Friday afternoon. My intentions were never to hurt the program or university. I’m grateful to Coach Rose and the university for standing by me throughout this entire process. The Salt Lake Tribune detailed in October 2017 how Emery traveled to amusement parks and concerts with Brandon Tyndall, an executive at the Tyndall family’s travel company, Fun For Less Tours, and a member of the Cougar Club, BYU’s booster organization. Emery also drove a Volkswagen Jetta that had been leased by Tyndall. Tyndall is not named in either the NCAA nor BYU report, though the descriptions in the NCAA report of free trips and a car match him. The NCAA wrote that BYU has already cut associations with Tyndall, who did not return Tribune messages seeking comment. (Trent Nelson | The Salt Lake Tribune) Brigham Young Cougars guard Nick Emery (4) scores as the BYU men's basketball team plays a scrimmage game known as the Cougar Tipoff, in Provo, Wednesday October 25, 2017. Two other boosters provided golf outings and meals at a country club to Emery, according to the NCAA, and one of them left Emery $200 cash in the basketball locker room. A fourth booster arranged for Emery to have a weekend stay at a resort, the NCAA said. The NCAA news release said the Committee on Infractions (COI) was concerned by the “unmonitored access” the boosters had to Emery and the men’s basketball program. In all, the NCAA said boosters provided $12,000 in complimentary all-inclusive vacations, cash, meals, golf and the use of a car. Of that, $10,000 came from the booster matching Tyndall’s description. (Rick Egan | The Salt Lake Tribune) Brigham Young Cougars head coach Dave Rose has a word with the referee, in basketball action at the Marriott Center, Saturday, February 10, 2018. Rose, BYU’s men’s basketball coach, stands to lose about a seventh of his 329 career victories under the NCAA penalties. BYU issued a response that defended Rose and his program. “From the beginning, BYU has considered the possible infractions a serious matter, and we have cooperated in every way with the NCAA review. There was no institutional knowledge of or involvement in the infractions. In fact, the NCAA found that Coach Rose promotes an atmosphere of compliance and monitors the program,” the statement reads. In an interview in October 2017, Tyndall told The Tribune he and Emery had done nothing wrong. The NCAA can make exceptions to its rules about boosters giving gifts to players if a booster had a relationship with and provided benefits to the student-athlete before he or she enrolled. Tyndall declined to say how long he has known Emery. Tyndall said there was documentation of Emery paying for the travel. “I do it more for the seats,” Tyndall said. The NCAA report said Emery received trips that included transportation, lodging, meals, and tickets to a Broadway show, an amusement park and concerts. 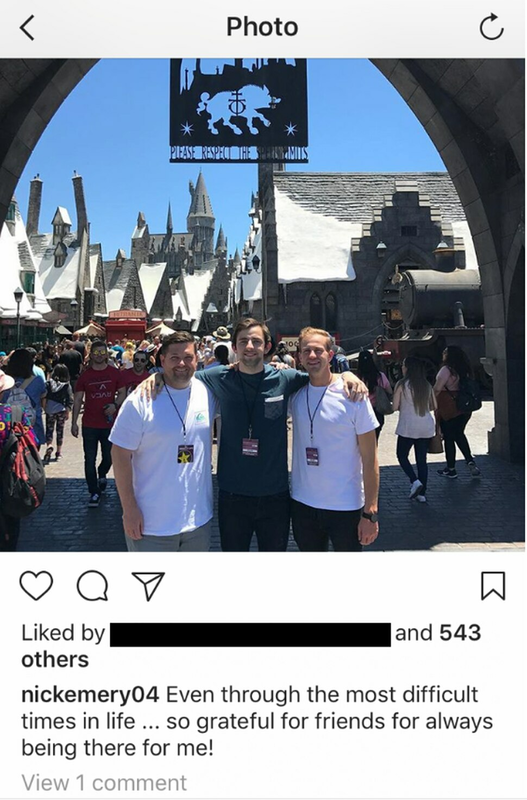 The Tribune reporting, based on documents and social media, found Emery and a friend traveled to California to go to Universal Studios and a U2 concert. 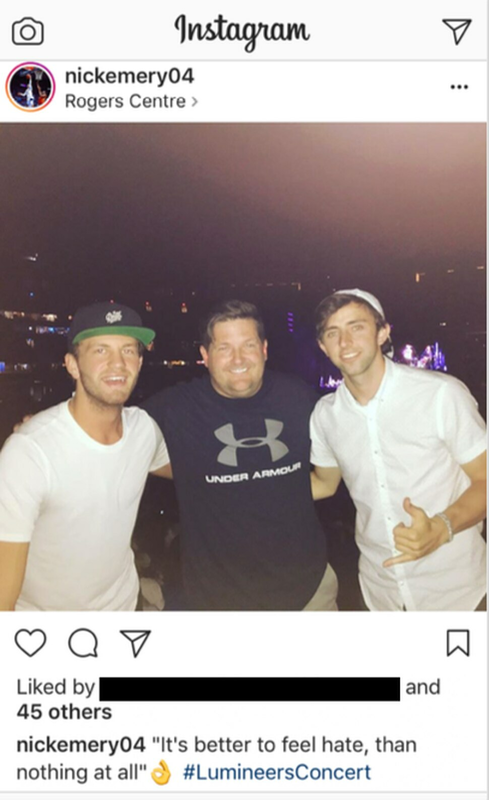 Emery and that friend also traveled to a U2 concert in Toronto. Tyndall appeared in social media posts with Emery in both locations. Emery was a team captain and starter in the 2016-2017 season. He also played on a Lone Peak High School team that was named national champions in 2013 and was The Tribune’s 5A boys’ basketball MVP that year. 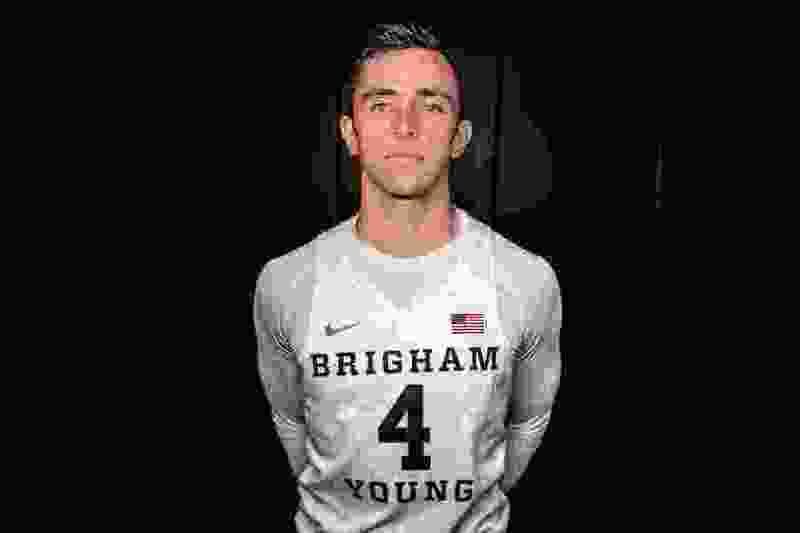 As a junior in high school, Emery committed to BYU, where his older brother, Jackson Emery, played basketball for four seasons. Emery gained national attention when he punched University of Utah player Brandon Taylor in a 2015 game. Emery was suspended for the next game — a win over Weber State. That would appear to be the only one of BYU’s 48 wins across Emery’s two seasons that would remain if the NCAA does not budge from its vacated wins penalty. Emery took a leave from the team before the start of last season and shortly after the NCAA investigation was made public. He has been suspended for the first nine games of this season for having received the impermissible benefits. Nothing in the announcements Friday indicated his status with BYU has changed. The last BYU athletic program disciplined by the NCAA was the men’s volleyball team. It was penalized twice from 2008 to 2011 for giving improper benefits to players.